In December last year we held our second Django Girls workshop. We couldn’t have pulled it off with such success without the support of our friends Simon and Lynley from Optimum Results. Optimum Results are AdWords scientists who specialise in optimising AdWords accounts for clients in markets all over the world. They do everything from managing accounts and helping with remarketing campaigns, to providing sound guidance on best practice. Our old friend Simon Hardie is the Founder and Director of Optimum Results. He’s responsible for the technical side of the business and his business partner, Lynley Cunningham, is the Director of Sales and Marketing. With Google being as vital as it is to business success, they won’t be slowing down anytime soon. 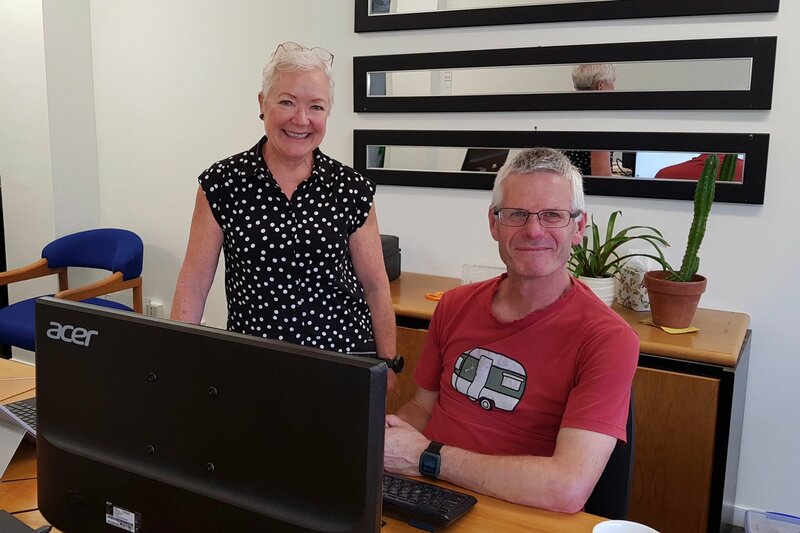 Lynley Cunningham and Simon Hardie have been business partners for 18 years. Before getting into SEO, Simon used to work with Springload – so we still see him as part of our extended family. Last year, he made some chocolate cakes for our first Django Girls workshop. Cakes the girls are still talking about. “It’s a simple cake made with stout and served with cream,” Simon tells me, adding the input doesn’t reflect the output. Lynley quickly reminds him he gave up a whole day of his time to make the cakes. So, why the cakes and the sponsorship money this year? “I believe it’s important for woman to know their job opportunities include programming. That it’s rewarding work. And for men to take responsibility to encourage women to enter the industry,” Simon says. He adds that access to coding education is across all genders. Getting into AdWords was a natural step after becoming experts in SEO. There are a lot of people out there who think they do AdWords well, but Simon and Lynley’s team are the best in the business. With large clients such as BNZ and InterIslander, Optimum Results have clients across New Zealand, marketing to people in Europe and the United States. They’re currently looking at developing a platform for analysts to use. “Right now it’s a mixture of tools and systems, but we’re really excited to to develop it,” Simon says. As AdWords specialists, Optimum Results get a lot of their business from word of mouth. Lynley says one advantage of being around a while is the reputation they’ve built from knowing what they’re doing. Anyone from any background can become a coder. Lynley’s daughter-in-law (who did the fab icing on those cakes) picked up coding as a second career while raising her kids as a stay-at-home mum. Before coding, she had worked in call centres and travel centres, says Lynley. Lynley and Simon believe participating in Django Girls is a wonderful opportunity for women to hear first-hand what a career in programming is like, what possibilities it offers, and to meet like-minded people. “Women can offer a different perspective to design and development. It’s also important for their voice to be reflected in design,” Lynley says. And they practice what they preach: Simon’s team is made up of predominantly women. While they’re getting a feel for the industry, when women attend Django Girls workshops they’re also able to use it as an opportunity to add something interesting to their resumes. “This gives potential employers the idea the women are eager to learn, adaptable, and show initiative,” Simon says.